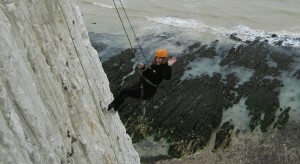 Dozens of people raised more than £15,000 for the Martlets Hospice in Hove by abseiling down a 115ft cliff in Peacehaven. The sponsored abseils will cover the costs of a week’s care for five people in the in-patient unit at the hospice, in Wayfield Avenue, Hove. Eighty people in two groups of volunteers took part in the abseil challenge, winning praise and thanks from the charity. Martlets event fundraiser Clem Hunnisett said: “A big thank you goes out to everyone who took part in both our abseil events this year. “We didn’t have the best weather for either abseil but people have been determined to take on the cliffs to try to raise as much as they can for the hospice. The charity said that the funds would help the Martlets to provide end-of-life care to local adults who are affected by terminal and life-limiting illness. The money would also help provide support their families and loved ones. The Martlets said that it received less than a third of its funding from the government. It needed to raise £11,000 a day to help people who were dying to do so with dignity and in as calm and peaceful a way as possible. 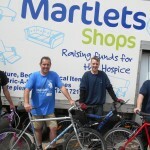 To find out more about any of the Martlets’ upcoming fundraising events, visit www.themartlets.org.uk/events, email events@martlets.org.uk or call 01273 964200.